Amid a booming market for cryptocurrencies, Swiss startup ShapeShift is launching a new kind of exchange that specializes in the sale of synthetic ethereum assets. 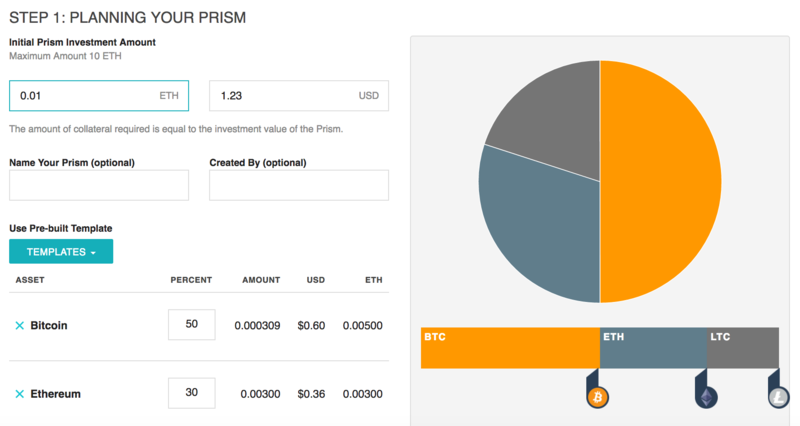 In short, its newest product, Prism, available today in closed beta, is less of an exchange and more a new way to trade cryptocurrencies, enabling users to create custom “prisms” by putting ether into a smart contract on the ethereum blockchain that is designed to mimic the price fluctuations of any of the hundreds of available cryptographic assets traded on exchanges. And that’s where ShapeShift CEO Erik Voorhees believes the company’s second product could come to solve problems for traders and investors. Still, Voorhees cautioned that Prism isn’t meant to be “all things to all people”, but rather just a product for the growing number of more casual cryptocurrency users who want to gain exposure to certain assets without the risk created when dealing with exchanges. And that’s a valid concern in an industry where exchanges have proven susceptible to hacks, fraud and issues with banking providers that have impaired their operations and cost users money. 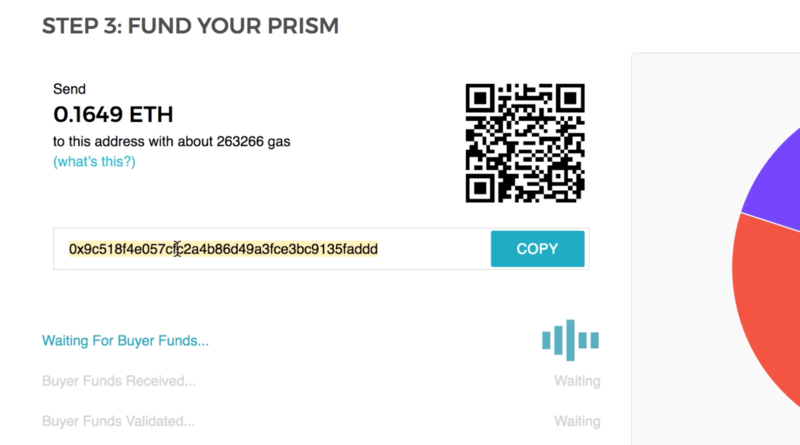 With Prism, the user experience changes. Instead of buying a cryptocurrency and keeping those funds on an exchange (or holding the keys in an offline wallet), users put a dollar amount, invest it in “bitcoin”, “ether” and “monero” and select the exposure they would like the “portfolio” to have relative to the price fluctuations of each asset. In this case, there is no bitcoin or monero, only ether in a smart contract that changes its value based on data fed to an oracle that receives its prices from traditional exchanges. “Now that the Prism has been created, the investor can watch the current value of their portfolio, which will rise and fall with the value of the underlying assets,” the company stated. There’s also a social component, with the most successful prisms showing up on a leaderboard of where these custom assets are ranked. “People can see the Prism you made, and they can clone it and make their own portfolio,” Voorhees said. In this way, the product is the latest that seeks to capitalize in the run-up of the total market capitalization of all cryptocurrencies, which exceeded $60bn for the first time this year, reaching a new all-time high last week. Users then fund the address they provide, and for which they responsible for maintaining, keeping the custody of the assets underlying the portfolio. Finally, users send funds to the address, thereby creating a contract. The result is that the portfolio doesn’t even hold ether assets, but rather it tracks contract terms, which are set up to change to track the value of all the assets. “A prism portfolio doesn’t have a bunch of proxy tokens sitting somewhere, it is simply ethereum as collateral put into the contract by the buyer and ether put into the contract from the seller, and the price can rise and fall,” he continued. Still, to create the Prism, another user needs to take the other side of the trade that sets up the account, effectively betting against each investment in the portfolio. Future versions of the product, Voorhees said, may enable users to enter into such agreements with other users, but to start, ShapeShift will be the counterparty to every transaction, hedging its trades in the background to ensure the integrity of its finances. “The simplest explanation is you make a prism of 1 bitcoin, that’s the whole prism. It’s worth 1 bitcoin. ShapeShift takes the other side of that, so that means ShapeShift is short 1 bitcoin. ShapeShift just buys a bitcoin from someone, then if bitcoin goes up it lost $10 on the prism, but gained $10 on bitcoin, so it’s a wash,” he explained. In this way, ShapeShift will make its money on closing costs associated with the accounts. 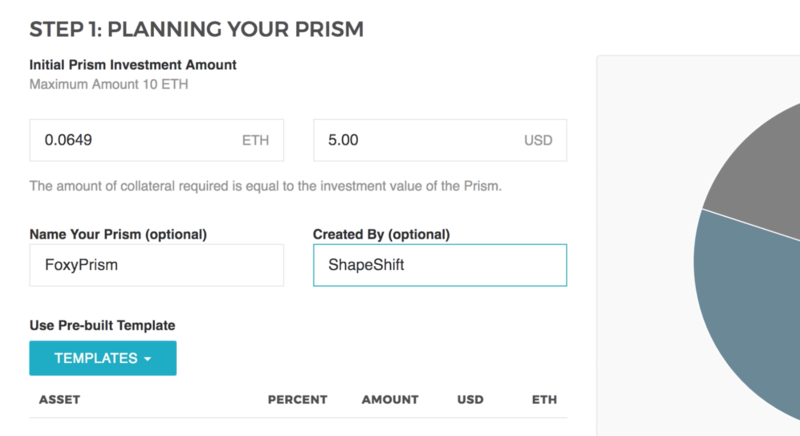 Users will be charged a 2.4% fee to close out Prisms, plus 0.05 ETH (about $6 today), a fee that covers the gas cost the ShapeShift must pay to run the smart contracts on the public ethereum blockchain. 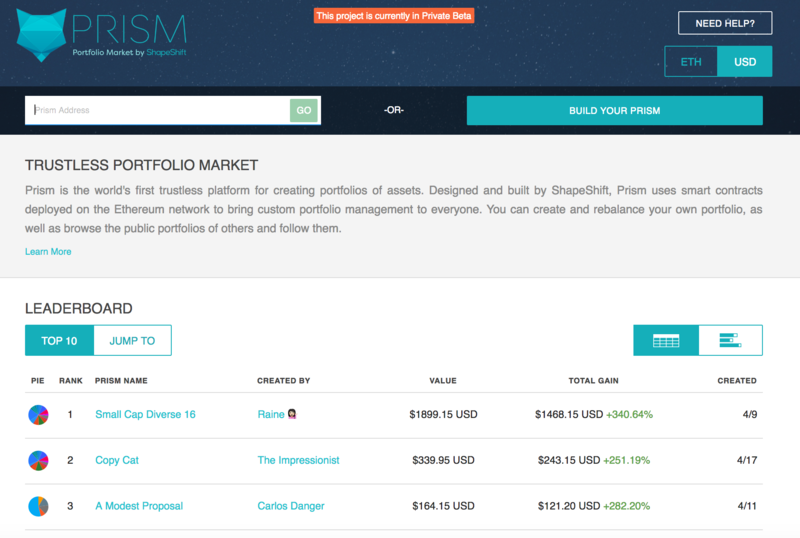 As the Prisms are fully with ether capital, there’s also a 1% per month fee paid to cover that cost of capital. 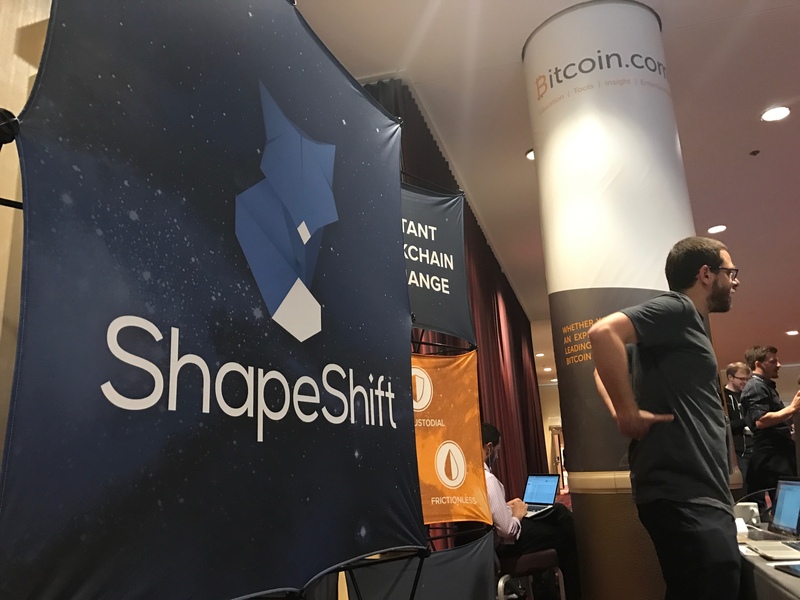 The product launch also marks an evolution for ShapeShift, originally founded in 2013 as an advancement over traditional order-book exchanges. Instead of trading, users of the original ShapeShift project swap between cryptocurrencies, a process that occurs without the need for account creation or management, reducing trust in the service, and as long argued by Voorhees, creating a value proposition in line with the spirit of decentralized economic networks. Still, Voorhees appears to already be thinking ahead to the next step. In conversation, he mentions how the technology exists for users to take their Prism and issue tokens on the ethereum blockchain representing shares in that Prism. “There’s no block on someone doing that,” he said. Voorhees has even gone so far as to conceptualize a time when regulated firms may even use a white-label version of the service, or a similar type of technology, for the more traditional financial assets that are well-known by Wall Street. When broaching the subject, I even float the idea, speculating it could as far as 20 years into the future, should the technology mature sufficiently.